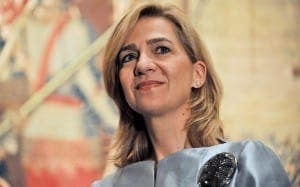 KING Felipe IV’s sister has been acquitted of tax fraud complicity, while her husband will be sent to prison. Cristina de Bourbon has been cleared of criminal charges, but will pay a €265,088 fine for her role in the Noos scandal. Her husband Inaki Urdangarin has been sentenced to six years in prison for embezzlement, fraud, influence peddling and tax crimes. He was condemned as one of the masterminds of a scheme that secured over €6 million in no-bid contracts from regional governments. 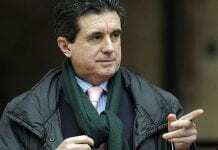 This is the first time a member of the Spanish royal family has been brought to trial. 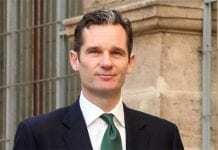 Urdangarin’s business partner Diego Torres has also been sentenced to eight years and a €1,700,000 fine for his role in setting up the Noos Institute, a non-profit foundation that received government contracts obtained without public tenders. Former Balearics premier Jaume Matas has been given three years and eight months for fraud and unlawful decisions, having issued instructions to hire the Noos Institue. King Felipe IV has refused to comment on the sentence. Well we knew she would never serve any time, not even after she said “I don’t know” 148 times to investigators during interviews. How could it be possible to put this guy Inaki among the general prison population? They’ll eat him alive. Looks like a case for “house arrest” Any bets? Stefanjo, don’t worry as he was so good at offering his services to the tune of one millón euros for a two day conference he will soon have the prisoners and staff sorted out. He’s in Switzerland – anyone want to make book he’ll stay there. Why is his fine less than 1/3rd of his business partner and a shorter prison term – answer he was’nt married to a royal. The royal family has been such an inspiration to Spanish citizens. They sure have. Unfortunately there aren’t enough elephants to go round, so they have to slaughter neighbour’s dogs instead.